Often overlooked in favour of Granada and Seville, the Andalucían city of Malaga is steeped in history, culture and art. 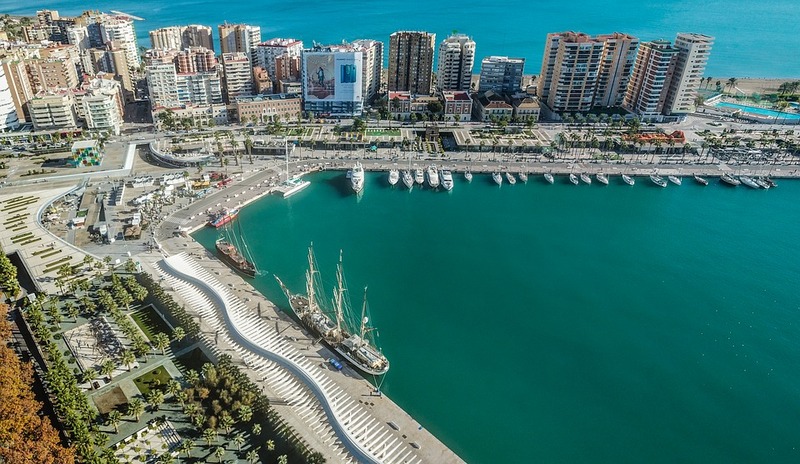 Once an important port for the Phoenician traders who settled the area, Malaga has played host to Roman centurions, Moorish sultans and Christian conquerors. 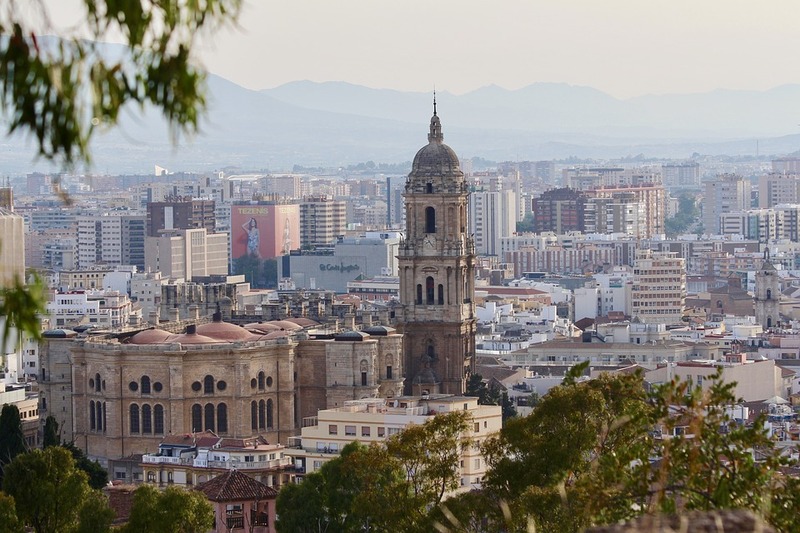 Today Malaga and more importantly, its airport is the gateway to Spain’s sunny Costa del Sol an agglomeration of end-to-end resort towns that were once small fishing villages. Despite the building craze that took place in the 1960s each of the coasts resorts has found its own unique niche catering to a wide variety of holidaymakers all in search of sun, sand and sangria. 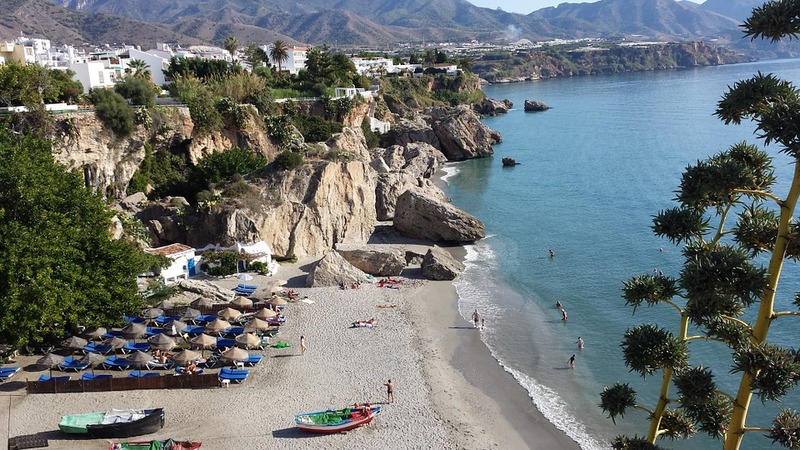 West of Malaga you have the glamorous jet-set playground of Marbella and Puerto Banus where the seriously rich park their mega-yachts, while to the east of the city you come to the charming traditional town of Nerja. All of this is surrounded by mountains and the region’s beautiful white-washed villages. Taking a look at the city of Malaga it is hard not to notice the imposing Castillo de Gibralfaro high up on its perch looking down on the city below. Just to get to the castle you must start the journey next to a Roman amphitheatre built by Emperor Augustus in the 1st century BC that today hosts various plays and musical performances throughout the summer. Along the route to the top of the castle is another Malaga treasure the Alcazaba Palace, a Moorish fortification built during the Hammudid dynasty in the early 11th century that is so well constructed it is often compared to the Crusader Krak des Chevaliers castle in Syria. Once you reach the Castillo de Gibralfaro you will be rewarded with fantastic views of the city and Mediterranean coastline. Malaga’s old quarter is a tangle of medieval streets and quiet squares lined with trendy boutiques, cafes and taps bars serving the best bites sized morsels found outside of the Basque Country. Highlights of the old town include the imposing and incredibly beautiful 16th-century cathedral the tallest building of its kind in Andalucia. Built, on the remains of a former mosque, the cathedral contains a statuette of the Virgin that Catholic monarchs Ferdinand and Isabella carried with them on their military campaigns against the Moors. No trip to Malaga would be complete without paying homage to the city’s favourite son Pablo Picasso. After 50 years of planning a museum was created in the 16th-century Buenavista Palace to house 200 of the artists most accomplished works. 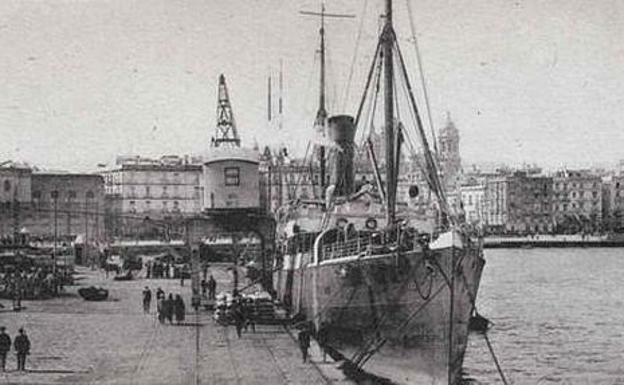 Bordering the old town is arguably Malaga’s greatest modern conquest the redevelopment of the old port area into a district called Pier One. In the Pier One district, you will find locals and tourists taking advantage of the seaside promenade either riding their bikes or taking the dog for a walk or just lounging in the sun. While rejuvenating the area around the port, the city council had the hindsight to build miles of bike lanes, making the city perfect to explore on two wheels. 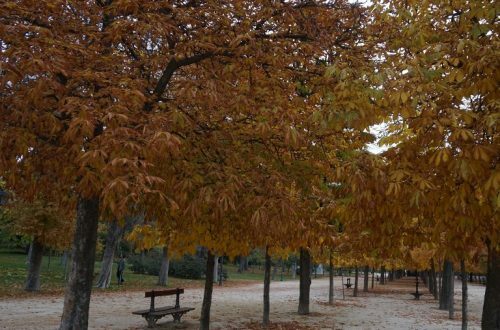 If you fancy a cheap day out that the entire family can enjoy, rent bicycles and pedal down the promenade to La Conception Botanical and Historical Gardens for a picnic in one of Europe’s premier public spaces. Malaga also has a beautiful city beach called La Malagueta where you can swim, play beach volleyball or just chill out sunbathing. 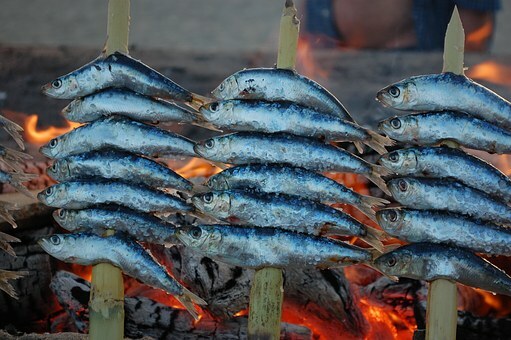 While there make sure you visit a chiringuito (beach restaurant) and try the local delicacy of grilled sardines cooked over a wood fire right on the beach. Once you have experienced all the cultural delights and a day at the beach it’s time to dive into the city’s nightlife. Party’s in Spain don’t get going until late in the evening and no one would ever dream of going to a club before 1a.m. so pace yourself and get ready to experience a night out that would rival the best of both Barcelona and Madrid. Truth be told Malaga is a fantastic city to visit at any time of year for an unforgettable weekend break or as a base to visit Granada, Ronda or any of the other towns and city’s that make Southern Spain so special. When’s the best time to book flights to Malaga? With so many low-cost airlines flying to Malaga from the UK there are always deals to be had. Saying that flights during school holidays always command a premium price. The airlines know that families are restricted when it comes to when they can schedule their holidays and increase fares to meet the demand for tickets. For this reason, it is best to book your tickets to Malaga as far in advance as possible to get the best fares. If you are not having to work around school holidays there are some great deals to be had flying to Malaga Airport and especially so during the winter months. Car hire firms at Malaga Airport have a large number of cars to meet the high demand of holidaymakers to the Costa del Sol during the summer but have to slash rates in the winter which means there are some incredible deals to be had. When it comes to low fares all the experts agree that due to the algorithms built into the way airlines price their tickets, you can save money if you travel midweek rather than weekend to weekend. 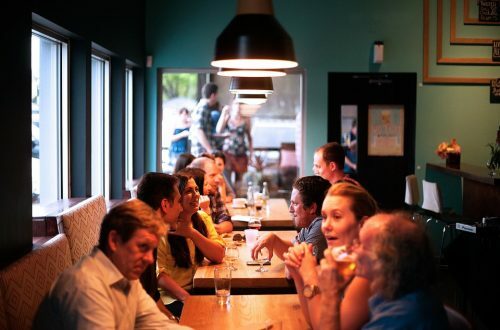 Experts also say that the best day of the week to purchase tickets is on a Tuesday afternoon as that is when other carriers adjust their ticket prices to compete with other airlines who always announce special flight deals on a Monday. Once you have your ticket and are ready to get off on your Malaga holiday be sure to check the status of your flight on up to the minute Malaga Airport Arrivals information. This applies to both arrivals and departures and is especially useful if you need to pick friends or family up at Malaga Airport. Travelling these days by air is quite stressful and nothing like it used to be back in the golden age of air travel, when only the well to do took to the skies for their holidays. Now with all the security checks and the rules regarding what size of bag you can take on board the total experience is anything but pleasant. There is however a way to help alleviate the stress and that is by staying overnight at a Malaga Airport hotel. This way you can have a nice relaxing end to your Malaga holiday before waking up fresh for your flight back home. London flies to Malaga, Manchester, Nottingham, Glasgow, Leeds. Cardiff, Bristol, Liverpool, Belfast, Newcastle, Edinburgh and Birmingham fly to Malaga also.